What a winter we had, especially the month of March. And of course, April was not typical spring temperatures either. In fact, it was downright cold for most of the month. Finally, we are in the heart of spring, with summer not too long away. We are all so happy to get out of the house and take our pups on some nice, long hikes. As much as we are excited to finally shed the winter clothes and enjoy the outdoors, we now have outdoor troubles to worry about. By that I mean: the dreaded ticks. Not a topic most of us want to think about. Where are the common places dogs pick up ticks? Dogs typically get ticks from walking through high grass, shrubs and wooded areas. Ticks will typically hang out at about 18-24 inches off the ground waiting for the next warm body to brush by. Did you know that ticks can live well over a year without feeding? They will lie and wait and wait and wait until an animal/human walks by the plant material that they are hanging onto, and from there climb onto their food source. What do ticks do once they find your pup? Ticks are NOT jumpers. Once a tick finds a host it typically starts from the bottom – feet and legs — and crawls upward. They usually land around the head, neck and ears where the skin is thinner. That is where they will bite, latch on, and hang on for days. Once the tick bites its host, it can take around 24 hours for the germs, infections and viruses to make their way into the tick’s salivary glands to be released into the host. This is why it is so important to do a daily tick check. How can I avoid having my pet pick up a tick while we are out? Your pet is less likely to pick up a tick when they are walking with you on a path. When you can, avoid off-leash hiking in areas where there is high grass, dense undergrowth. 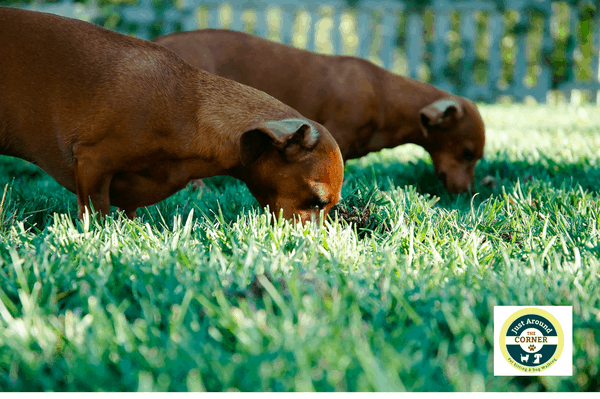 Those areas encourage dogs to sniff and investigate their surroundings, and they can easily pick up a tick waiting at the top of the grass or brush for them to pass by. IT IS ABSOLUTELY CRUCIAL to remove ticks properly. It is best to go right to your vet to remove ticks unless you have a lot of experience removing ticks and are confident in disposing of them safely. Making an incorrect or unsuccessful attempt can cause more problems than if you left the tick alone until you can get your pet to the vet to have it removed properly. For example, you could easily break off the tick’s head, leaving it behind embedded in your pet’s skin. If you feel you must remove the tick yourself as you are unable to get to a vet, pointy tweezers should be your weapon of choice. Using pointed tweezers, grasp the head of the tick as close to the skin as possible, and pull upward quickly. It’s important to squeeze the tick by its head only to avoid the risk of pushing the infected saliva into the bite wound. Humans will most likely get a “Bulls eye” rash, but dogs are different and will not display a rash. Look for: random, sudden onset leg lameness and leg shifting that lasts more than a day, loss of appetite, depression, tiredness and reluctance to move. Watch for loss of appetite, lethargy, lameness, reluctance to move, neck pain, neurological signs, bruising of gums and belly and nose bleeds. Keep an eye out for depression, lack of energy, loss of appetite, discharge in the eyes and nose, nose bleeds, bruising on the gums and belly, lameness and joint pain. These are just a few possible symptoms. The best rule of thumb: know your pet. Watch for any changes in them physically or emotionally. Remember, you are your pets’ best advocate. You know when they are not feeling well. They are not able to tell us what is happening. If you see any changes be sure to take them to your veterinarian. Always do a complete body check for yourself and your dog after you have been out with your dog on a walk or hike. This is especially Important if you walk in areas known for high tick population. Take preventative measures to keep your pet from being exposed to ticks. These measures include topical applications (lotions, cremes), tick collars and even some oral medications. 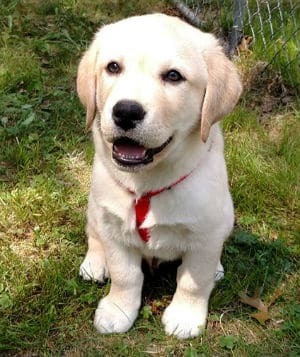 Consult with your veterinarian to find the optimum choice for your dog. Being educated about ticks and following some simple rules will allow you to enjoy your walks with your pups…. Here’s to nice weather! Hope to see you and your pups on the Trailside!! Do you have a favorite Tick Prevention idea? Post below! One of the responsibilities we have as pet owners is to ensure that our pets are groomed on a regular basis. Some of us are able to handle this at home and do it ourselves. Maybe you are the person who lifts your dog into the tubby and you just can’t stand to do it another day? Or maybe a bath is fine, but you just have trouble with cutting toenails and cleaning ears. Could be time to take them to a dog groomer. So, where do you find the best dog groomer in Plymouth, MA? There are a number of considerations for finding that best groomer for your pet. How does the location look: Is the shop clean and does it smell clean. Is it a professional business. 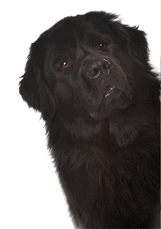 Are the staff knowledgeable: does the staff understand the needs of your pet. Are the pets monitored: Do they have proper size cages to secure your pet. Are there other pets in the same area. Are the pets always visible to the staff? Are they trained in breed specifications: Does the dog groomer know the specific needs of your breed. Can you see photos of previous breeds that they have serviced? Do they handle fearful and aggressive dogs: Will they have fearful and aggressive dogs in the facility while your pet is being groomed and what precautions do they have in place. What type of training do they have: Do they have any certification for dog grooming. How long have they been in business? What are their credentials? We have taken the time to do a Google search to try and help you find the Best Dog Groomers in the Plymouth, MA area. Please be sure to follow due diligence in finding the perfect match for your dog. BEST GROOMERS IN PLYMOUTH, MA. Paws in Paradise: Owner Carol Shapiro with over 25 years of experience. Grooms only dogs under 40 pounds. Sandwich Rd., Plymouth, MA. 508-280-6761. Best Pet Salon: Owner Tracey with 25 plus years of experience. All Breed Professional Groomer. 739 State Rd., Plymouth, MA. 774-237-8738. Grooming at Scarlet Farms: Owner Paula with over 20 years of experience. All Breed Professional Groomer. 220 Jordan Rd., Plymouth, MA 774-454-4823. Rover Make Over: Owner Marlene. All Breed Professional Groomer. 2289 State Rd., Plymouth, MA. 508-888-3906. Grooming Magic: Owner Louanne Chase. All Breed Professional Groomers. 117 Sandwich St., Plymouth, MA 508-732-0255. Nautical Dog Mobile Grooming: Owner Julie McKenna with over 30 years of experience. Mobile groomer. 508-746-9091. It is so important to find someone that not only you feel comfortable with but your dog is comfortable as well and looks forward to going back. Have you tried any of these groomers or have you used other groomers in the Plymouth area? Would love to hear about your experience and recommendations! Please comment below. All dog owners dread this statement: Oh my god….my dog just ate poop. After the initial shock the question is: Why Does My Dog Eat Poop!! What do I do? The thought of this sends shivers down our spine, even from the best of us dog lovers. The medical term for eating poop is Coprophagy. Now doesn’t that make you feel better? Probably not. No matter how we try to wrap our brain around it, a dog eating poop just grosses most of us out. Here are some of the top reasons your dog may eat poop. Dogs are born to eat poop: Yes, you read this right. Dogs are born to be scavengers, living off of anything in their environment to survive. When food is scarce, dogs instinctually scavenge for any nutrients they can find. A mother with newborns will eat her puppies’ poop. She does this for a number of reasons. To stimulate the puppies to eliminate, to keep her den clean and to hide the smell of poop from predators. Your dog may have a medical issue: This is very important: when your dog eats poop, take them to a veterinarian right away to eliminate any medical reasons for eating poop. Some possibilities include a malabsorption problem, deficient in nutrients, parasites, diabetes, pancreatic problems, just to name a few. It is really important that you rule all of these possibilities out. Your dog may be anxious: Sometimes your dog eats poop because they feel anxious. Do you use punishment when housetraining? If you do, they will eat their poop after they have an accident so that they do not get punished. Your dog may be seeking attention: Some dogs will eat poop to elicit attention from you. When they want attention, it does not matter if they get positive attention or negative attention. When you see your dog eating poop, if you yell at them and making a big deal out of it, you are giving them attention. Is your dog from a puppy mill? : Sometimes dogs from puppy mills will eat their own poop because they are bored. Or it could be because of long term crating. They are pooping and eating in the same place and do not know the difference. It could also be because they are not fed enough of the right sorts of food, and their scavenger instinct kicks in. 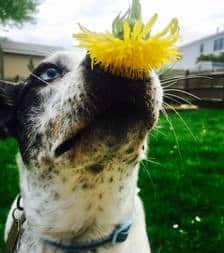 Eating dog poop may be a learned behavior: Doggie see, doggie do — Some dogs will pick this up by watching other dogs eating poop. Keep the Area Clean: Be sure to keep the area where your dog eliminates clean of any poop so there is nothing for them to get. Monitor your dog when outside. Clean up poop immediately after they defecate. If you need to have your dog on a leash to monitor them, then that is what you should do. Feed a well-balanced diet: You may need to change the food that you are feeding your dog. If it is not a well-balanced diet, this may be one of the causes of eating poop. Food with lots of filler actually smells the same after being eaten. 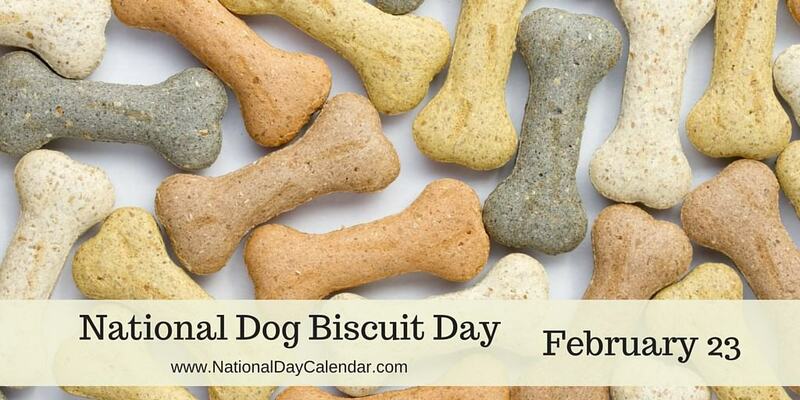 Also be sure to feed your dog enough. If they are not being fed enough and are hungry this may cause them to eat their poop. If you are feeding once a day, change this to two meals a day. Exercise and Stimulate: You want to be sure to give your dog enough exercise and find things that will stimulate them. Dogs will eat their poop out of boredom. After a good walk, maybe some really nice toys to play with and a good chew bone. Train them: Be sure to train your dog with a command that will re-direct them if they are heading to eat the poop. Some will use the word “Leave it”. Be sure to give a positive reinforcement when they do. A nice little treat, toy and praise. Add a deterrent: There are a lot of products that you can buy in a pet store that may help in making the poop very unappetizing for your pet. These are really a trial and error. You will need to try several to see what would work best for your pet. There are also a lot of natural remedies that you can try. You will have to try them to see if any of them would work for your dog. Eating poop can be a hard habit to break in a dog. Just remember, do not be discouraged. Following and executing a good plan and creating distance between episodes will help you on the road to breaking this habit. Has your dog eaten poop? Have you had any success making them stop? We would love to hear what you have done to stop your dog from eating poop.